Fireball Whisky is feeling some heat after some North American product found its way to Europe. While perfectly safe to drink, the North American Fireball wasn’t in compliance with local laws in Europe where a slightly different recipe is needed. The culprit? Propylene glycol. Propylene glycol is “generally recognized as safe (GRAS)” by the U.S. Food and Drug Administration up to 50 grams per KG, with Fireball containing less than 1/8th of the amount allowed by US FDA regulations. Propylene glycol is used in many different products, including products we consume like soft drinks, sweeteners, some foods and alcoholic beverages. 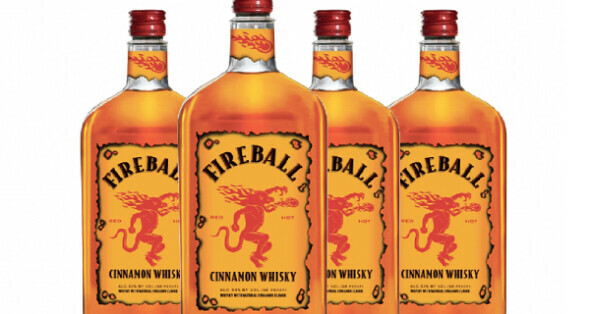 While there isn’t an issue in North America, there was in Finland, Sweden and Norway who have asked Sazerac, the parent company of Fireball, to recall those specific batches, which will be replaced within three weeks. The damage, however, has been done with articles like “Fireball Whiskey Recalled In Europe For Containing Too Much Of A Chemical Used In Antifreeze” spiraling like wildfire across social media, prompting Sazerac to quickly work to dispel them. “All Fireball formulas are absolutely safe to drink and the use of PG in Fireball creates no health risk whatsoever,” said a company representative. “There is no recall in North America. Fireball fans can continue to enjoy their favorite product as they always have.” College students everywhere were certainly worried about potential health risks but were quickly put at ease after assurances by the company. And this breaking news just in … Fireball contains dihydrogen monoxide! We’re also following up on leads that Fireboall contains ethanol, a biofuel additive to gasoline. Pandemonium ensues.